Got a large model? Use a Model Display Kit! 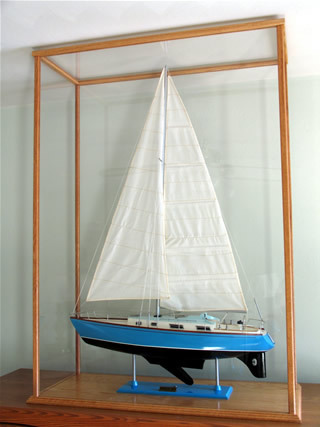 When a customer requires a custom model display case for a very large model, Grandpa’s Cabinets has the answer. Shipping costs to send a case are already overwhelming, and when the box exceeds 130″ in length + girth, they soar! All oak pieces are also top coated with a clear satin polyurethane and no tools or glues are required to assemble this fine case. The acrylic is sent with the protective paper coatings attached to protect it from damage during shipping. When you have a large model that needs protection from everything, consider these model display kits. You won’t be disappointed with your choice.